It is our first summer bento of 2018, we bring it to you freshly-filled with ocean-themed Japanese lore since Ocean Day is in July. 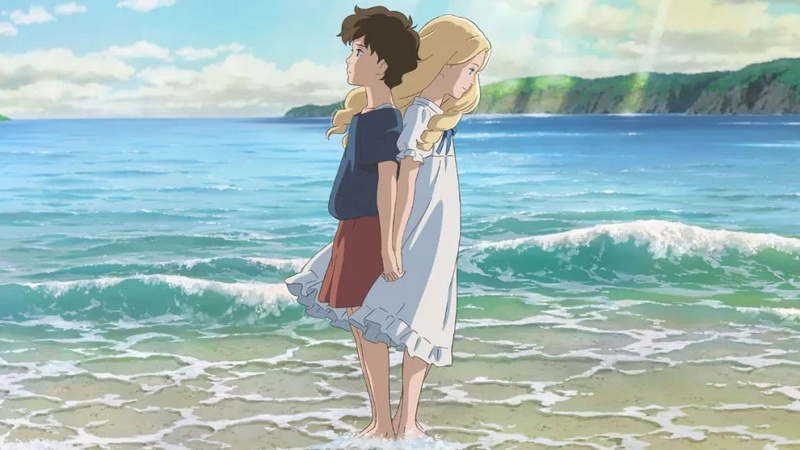 July means also that new anime is to be released in Japan so feel free to take a swim in our Ten Summer Anime Recommendations article to see some of the new series that starts in the month of June. We learn all about Ocean Day in this bento, learn Japanese words that are ocean-themed as well as look at a fish dish for all you Japanese foodies. We also have our birthday of the month and AMV and a new anime for our monthly anime challenge, all that and we even look at the anime news of the past month! We really have an ocean of anime goodness, so enjoy! We are YOUR monthly source of anime news, Itadakimasu!!! 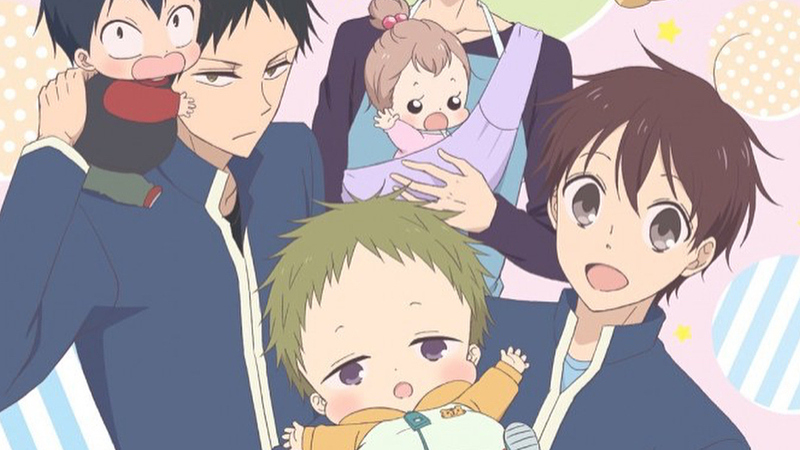 Do you remember Gakuen Babysitters? The anime is about Ryuchi (a high schooler) and Kotarou Kashima (a toddler) who lost their parents in a plane crash and found themselves living with the chairwoman of the Morinomiya family, who herself lost her son and his wife in the plane crash. She allowed the siblings to live in her house on one condition: Ryuchi has to work at the academy’s daycare centre as a babysitter. The anime aired from January to March this year. If you enjoyed the series we have a bit of good news for you. The anime’s official Twitter confirmed earlier this month that its forthcoming 7th DVD/Blu-ray (release date September 26, 2018) will come with a newly-produced OVA which will act as it’s 13th episode. The disc will also include footage from the March 4, 2018 ‘Gakuen Babysitters Cast Event’ in Sanrio Puro Land. The ova will adapt the manga’s tankobon 6th volume where the kids perform as the characters from Snow White as well as the 9th volume where Ryuchi makes curry for Saikawa-san and the chairwoman of Morinomiya Academy. But that is not all, a drama CD and more goodies will be released with the 7th DVD/Blu-ray set. Imagine a game where Frieza (Dragon Ball) is devastating New York. Suddenly a familiar shinobi in an orange jumpsuit (Naruto) runs towards him with a couple of clones packing a Rasengan, on the ground near him Goku (Dragon Ball Z) goes all-blonde and starts to chant the Kamehameha, and in between skyscrapers Luffy (One Piece) slingshots himself towards Frieza. 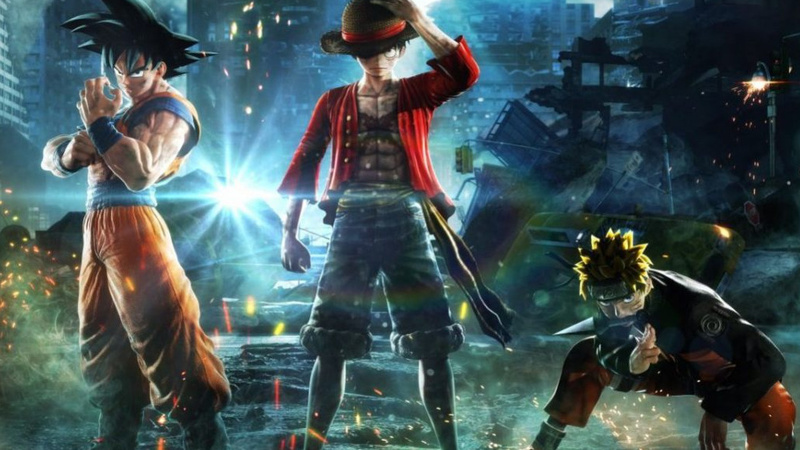 Now stop imagining because in 2019, a game where all that happens and more called Jump Force will be released for PC, Xbox One and PS4. It is going to be epic. The game brings together epic heroes from the Shonen Jump Weekly manga. It has already been confirmed that legends from the One Piece, Naruto and One Piece and a few other popular mangas will be in the game. The game will be a 3D brawler/fighter where the player would be able to create three-character tag teams from different series. The fight will take place on ‘our’ Earth, playing off at a number of landmarks such as New York Times Square. Villains from these series will be plotting to take over our world and it is up to our heroes icons and us to stop them. As we learn more we will share more detail about the game with you, so watch this space. 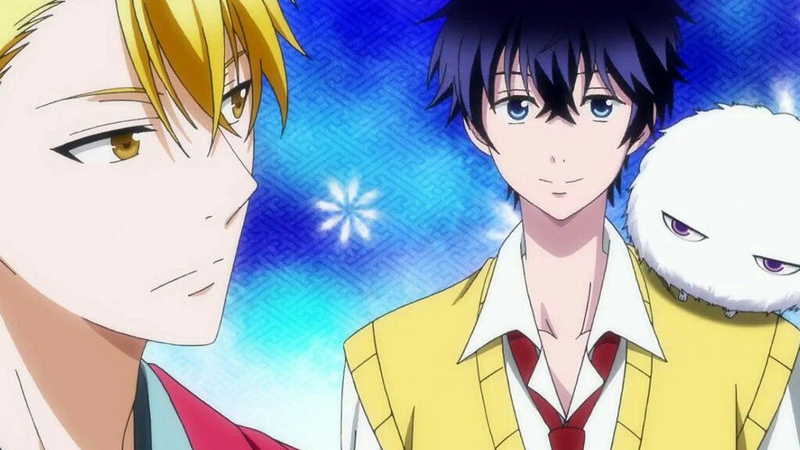 Remember The Morose Mononokean (Fukigen na is)? According to the anime’s official website, the supernatural anime based on Kiri Wazawa’s Fukigen na Mononoke has been green-lit for another series! The anime is to be directed by Itsuro Kawasaki (Magical Girl Ore) at Pierrot Plus. Takao Yoshioka (Ikki Tousen) is returning to handle the series composition. It has also been confirmed that Yuuki Kaji and Tomoaki Maeno is reprising their seiyu roles. In the manga the anime is based on, our hero Ashiya spends seven days stuck in the infirmary thanks to a yōkai that attached itself to him. He eventually asks the owner of ‘Monokean”, a small tearoom for help. The Fukigen na Mononokean manga launched in Square Enix’s Gangan Online web manga site in 2013. The first season of the anime aired from June to September 2016 and consisted of 13 episodes. There also ran a stage adaptation of the manga at the Akasaka Red Theater in Tokyo in September 2016. 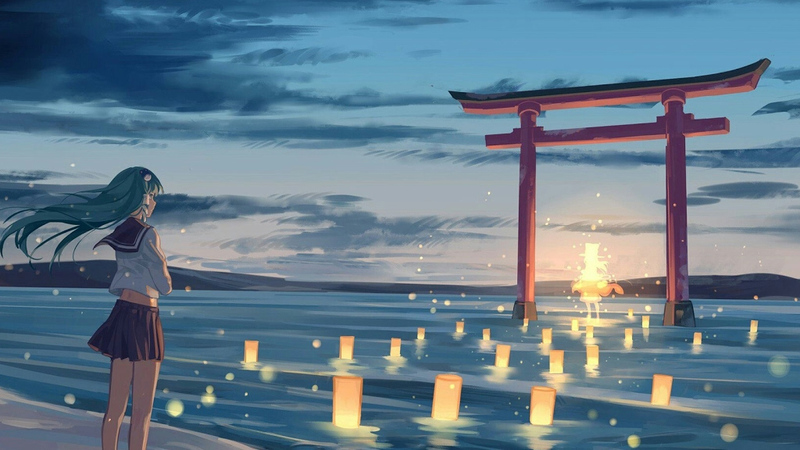 Have you ever watched Studio Ghibli’s movie Spirited Away and just felt in awe of the detail of the animation, the beauty of the background and the richness of the storytelling. Maybe there is a part of you that wish you can go on a tour in that magical world, take a look at the architectural marvel that is the bathhouse or just ride on that train that ‘glides’ across the water? In a way, you can! You may have seen it on YouTube or on the net that there are Minecraft builders that love to recreate places from movies or even real-life paces. They do impressive jobs to put a much detail into their Minecraft homages as into the original places. Some recreated the whole Kanto region from the Pokémon games, others recreated the city of Kyoto as it is in real life or others, complex worlds from anime movies like My Neighbor Totoro, Castle in the Sky, and Nausicaa of the Valley of the Wind. 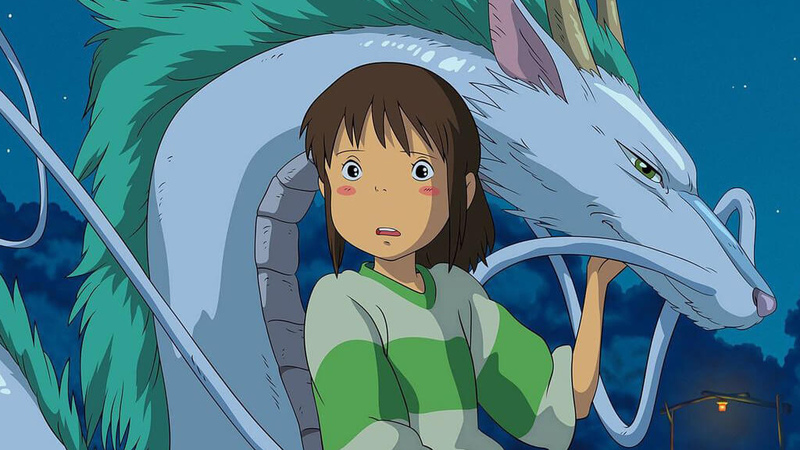 Youtuber and Minecraft builder Alan Becker has been building the world of the Movie Spirited Away for four years. It has evolved from year to year and it is a stunning artistic masterpiece. He recently posted a video of the current incarnation of his project and we had to share his art piece with you. Prepare to be blown away. 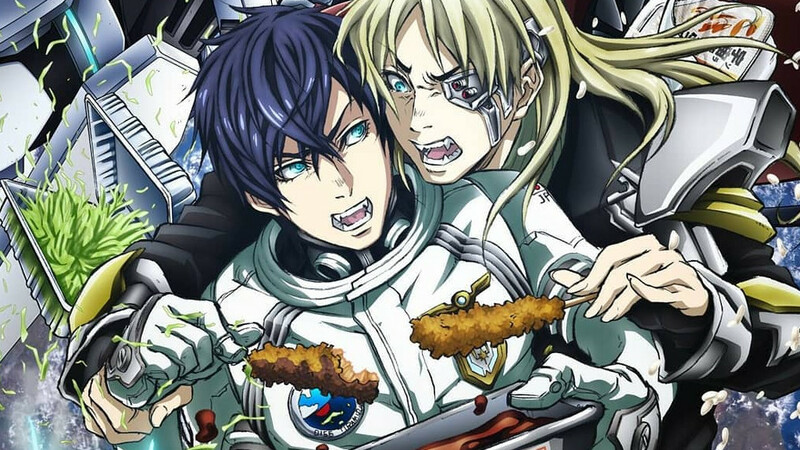 Just after the 13th episode of Uchu Senkan Tiramisu (Space Battleship Tiramisu) aired the anime’s official website announced that its second season titled Space Battleship Tiramisu II (Zwei) will premiere in October 2018. The site also posted a teaser trailer. The first season premiered in April and the anime’s plot centres on the ace pilot Subaru Ichinose of the space Battleship Tiramisu. Ichinose is the ship’s youngest crewmember who always shuts himself up in the cockpit of his personal ship, Durandal. The main voice cast of season one included Kaito Ishikawa (Rin-ne), Takahiro Sakurai (Mr Osomatsu), Junichi Suwabe ( Yuri!!! on Ice), Takuya Eguchi (Ore Monogatari!! ), Takaya Hashi (Mobile Police Patlabor), Aya Endoh (Macross Frontier) and Akio Otsuka (Ghost in the Shell). The anime was directed by Ikehata Hiroshi (Magical Circle Guru Guru), Yu Sato (Ninja Slayer) was on series composition and Ai Yokoyama (X-Men) works on the character design. If this line-up changes for season 2 we will keep you in the loop. Here are more links to news that featured in the ‘realms of anime’ over the past month! Umi no Hi is a nationally celebrated holiday usually celebrated on the third Monday in July. It is a way to give thanks to an ocean. Japan is an island nation so the sea plays a huge role in their lives as the provider of food. Since it is a modern holiday, there are no traditional ceremonies associated with Umi no Hi. It is more a day of gratitude towards the ocean for the blessings and bounty received from its waters as well a day of hope for economic prosperity. 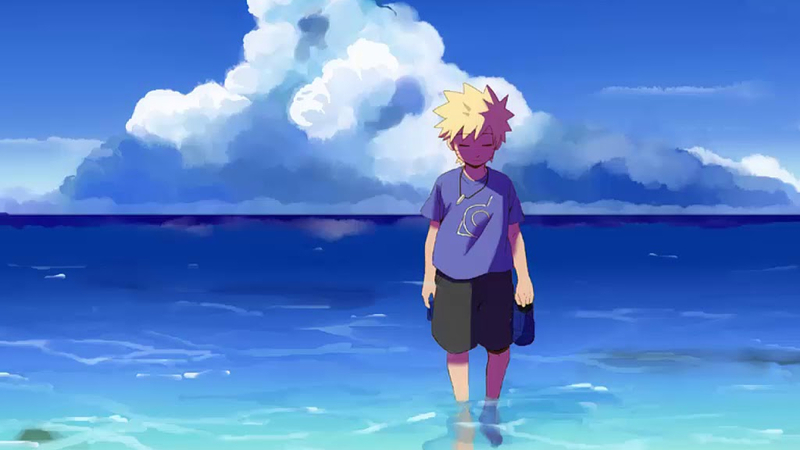 Many Japanese citizens use this holiday to go to the beach and enjoy the summer weather as well as give homage to the ocean there. Other ocean-related festivities are also observed too like all the national aquariums holding special events, water-sports competitions, water shows and other cultural activities involving the ocean taking place. Umi no Hi only became a national holiday in 1996, prior to that it was known as Marine Memorial Day. Communications minister Shozo Murata declared the day a memorial day in 1941 to commemorate the Meiji Emperor on his 1876 voyage in the Meiji-Maru, a steamship that was constructed in Scotland. Here are more words associated with the ocean and beach! Japanese fermented foods come in countless forms like soy sauce, pickles, miso, these are a few examples of food that goes through a fermenting process. It is an ingrained part of the Japanese culture. Because fermented foods are highly nutrient en kept well they were historically favoured as the energy food and military provisions. Recently fermentation has also been applied to food supply as well as tackling environmental problems. Fermentation draws out a savoury taste, it enhances nutritional value and also produces unique aroma as well as textures. It enables food to keep better and for longer periods as well. The fermented process is quite scientific and depends mainly on three types of microbes: moulds, yeasts and bacteria. Here in South Africa we also have our special fermented dishes like Amasi (fermented milk that tastes like cottage cheese and yoghurt), Mageu (the non-alcoholic drink made from fermented maize), Ting (fermented food made from sorghum flour) and umqombothi (a traditional alcoholic beverage). Chances are you have either tried some of these or grew up in a South African household where these yummy fermented foods and drinks were commonplace. Even the much-loved yeast vetkoek/amagwinya (fat cakes) we all love to eat with mince or jam went through a fermenting period before it is baked in oil. When it comes to fermentation, maybe we have a bit in common with Japan! This month we focus on a fermented delicacy called Kusaya. It is a Japanese-style salted-dried fish, with a strong aroma but it is mellow in taste. It is a dish that originated in the Izu Islands where people used to earn a living in the salt making in the Edo Period. The salt was even used by villagers to pay taxes to the government! Salt was used to cure fish, in fact, the same salt was used many times for this specific purpose resulting in a stinky dried fish, which was named Kusaya. The resulting, tea-coloured, sticky, stinky brine was even passed on from generation to generation as a family heirloom. 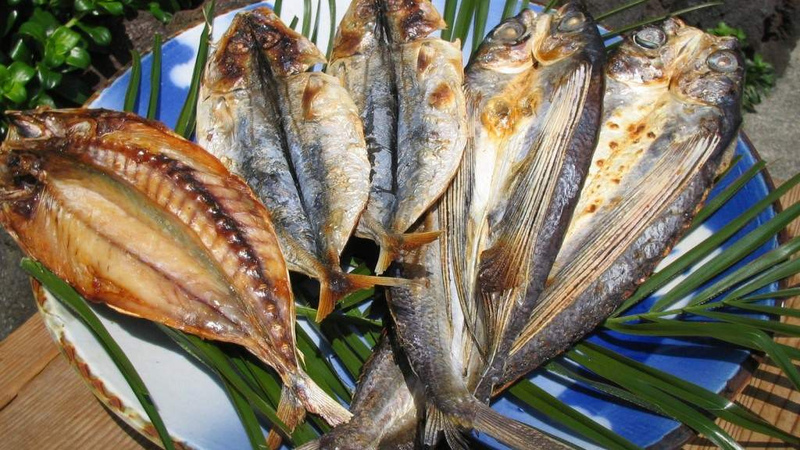 Believe it or not, that 100 years old brine, used to make Kusaya (filled with many vitamins and organic acids such as acetic acid, and amino acid) contributes much nutritional value to the resulting dried fish. Fish like Mackerel, flying fish and similar species was used to make Kusaya. Well, the proof, as the proverb goes, is in the pudding so we chose a yummy video of a Kusaya dish to wet your appetite. Enjoy the video. Itadakimasu. In the anime Log Horizon, Akatsuki is one of the players trapped in the MMORPG Elder Tale. She is a Human Assassin-Tracker who joins Shiroe and Naotsugu, at the beginning of the show. She later becomes one of the founding members of Log Horizon. She was a member of the Watermaple Consulate Raid Party and of the Shibuya Raid Team. When we meet her first in Log Horizon, she has a dilemma being trapped in her Avatar’s body, which is a tall male assassin. Shiroe helped her out with a rare potion and she returned to her kawaii and short self. With her petite body, her purple eyes and hair, she is the embodiment of kawaiiness. Her overskill is Shadow Lurk. 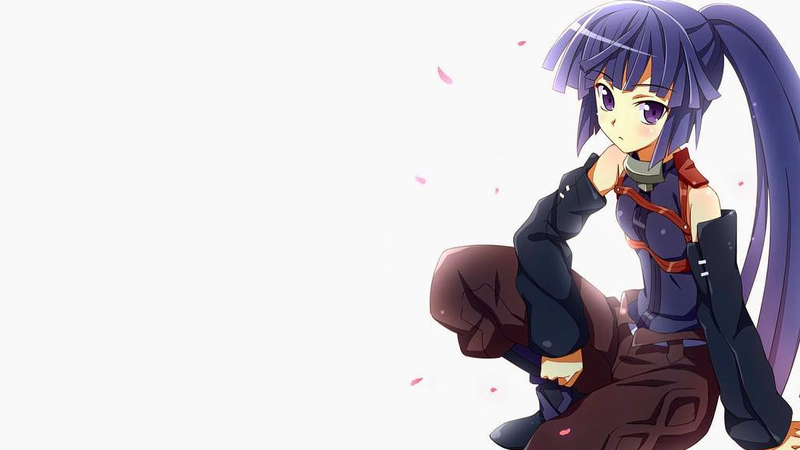 Akatsuki means ‘Dawn’ or ‘Daybreak’ in Japanese and her real-world name is Shizuka Hanekura. She is seen as much younger as she is by everyone, due to her short stature. In the real world this caused her not to socialize well with people of her own age, she has never dated nor had a close friend because of this. She is very sensitive about her ‘petite-ness’ and feels offended when people call her a ‘shrimp’ or ‘pipsqueak’. She has a strong sense of duty, sees herself as Shiroe’s personal ninja and addresses him as her ’Lord’. She is self-conscious about her small build as well as the fact that she looks younger than her age. She shines in battle, her real-life kendo training is reflected in the way she fights her enemies. Akatsuki shares her birthday month with anime heroes such as Nami (One Piece) and Neji Hyuga (Naruto) on July 3rd, Ichigo Kurosaki (Bleach) on July 7th, Vash the Stampede (Trigun) on the 21st and Sasuke Uchiha (Naruto) on the 23rd. Our AMV this month is the song Radioactive by Imagine Dragons, featuring the anime Log Horizon. 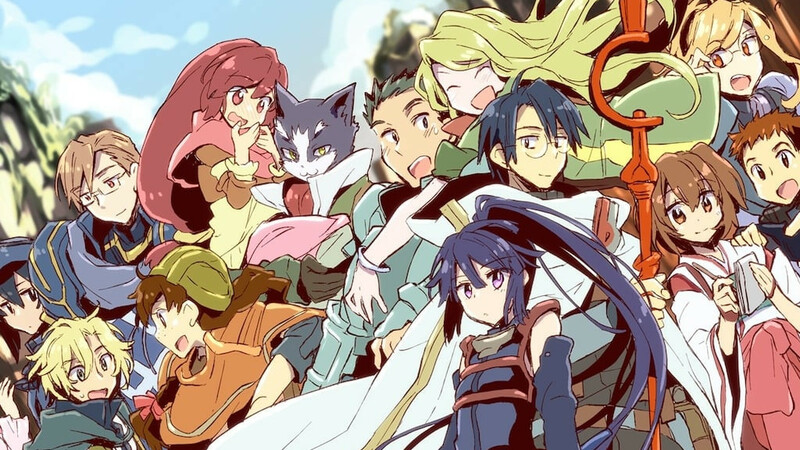 In Log Horizon, thirty thousand Japanese gamers find themselves suddenly trapped in the Elder Tale MMORPG during the release of the game’s twelfth expansion pack. Some gamers go total murder hobo in a Sword-Art-Online-esque style but socially awkward gamer Shiroe and his friends Naotsugu and Akatsuki teams up to face the world and ends up making it a better place. The series becomes epic in its own right and set the bar up high for other trapped-in-a-game-anime. The artwork is stylish, the seiyu makes the characters feel alive and the soundtrack, especially opening song is unforgettably smoking hot sugoi! Log Horizon ran for two seasons between 2013 – 2015, and if you expect it to be a Sword Art Online clone, you are mistaken. Open your mind, grab a few snacks, relax and give it a go. You may not be disappointed! Imagine Dragons hails from Las Vegas, Nevada and is a pop-rock band. It’s members consists of Dan Reynolds doing vocals, Wayne Sermon on lead guitar, bassist Ben Mckee and drummer Daniel Platzman. They gained exposure with their single ‘It’s Time’ and is known for great songs like ‘Radioactive’ and ‘Demons’. Rolling Stone named ‘Radioactive’ the “biggest rock hit of the year” and listening to the AMV we can understand why! Feeling like watching a new anime but so busy that you can only get 3 episodes in a week apart from the other series you follow weekly? Then our Anime Challenge may just be what you are looking for. Every month we choose an anime and as a challenge, we only watch 3 episodes of it a week and try to finish that series in a month. Last month we all watched the samurai anime Hakuouki Reimeiroku. To all who joined us in the challenge last month we hope you enjoyed it, and hey we all finished an anime together, isn’t that sugoi! For our July anime challenge, the anime is Outbreak Company. It tells the tale of Shin’ichi Kanō, a recluse otaku that takes an online exam for a job. Being very knowledgeable on anime, manga and videos he passed the test and meets his new employer. He is drugged and kidnapped and wakes up on another world, a fantasy world. Shin’chi is then informed that the Japanese government selected him to help improve Japan’s relation with the new world by establishing a company to spread the unique products of Japanese (otaku) Culture to this new, unexplored market. 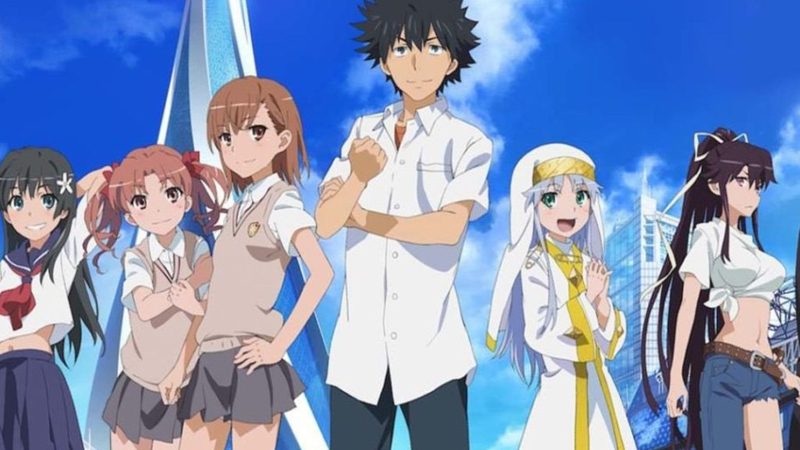 The Outbreak Company anime ran from October to December 2013. It was produced by Feel and directed by Kei Oikawa. 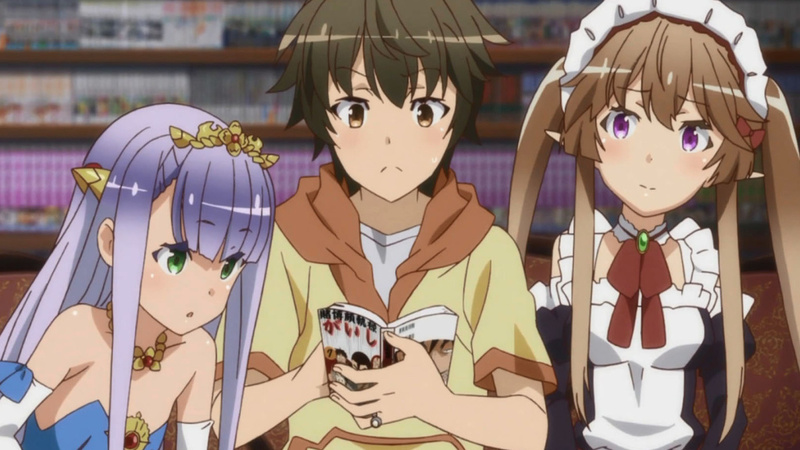 The anime is based on the Outbreak Company: Moeru Shinryakusha (. Outbreak Company: The Moe Invader) light novel series written by Ichirō Sakaki, with illustrations by Yūgen, of which 18 volumes were published from December 2011 to August 2017 by Kodansha. Be sure to join us as we discover together if Shin’ichi has what it takes to create a market of otaku culture on a fantasy world.